197 min [ Turbulent were the times and fiery was the love story of Zhivago, his wife and the passionate, tender Lara. ] 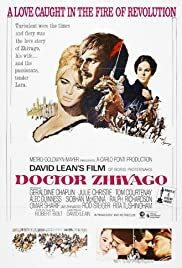 - Doctor Zhivago is the filmed adapation of the Russian novel by Boris Pasternak from director David Lean that was an international success and today deemed a classic. Omar Sharif and Julie Christie play two protagonists who in fact love each other yet because of their current situation cannot find a way be together.